We are proud to support Small Business Saturday®, a day and a movement that brings people together to celebrate the places they love each year — from local bike shops to boutiques to bakeries. We hope you will join us this November 24 and help make the day a success by applying to be a Neighborhood Champion. Apply to be a Neighborhood Champion at ShopSmall.com/NMSC. Organize and host an event to help your community celebrate on November 24. It could be a kick-off breakfast event, a welcome station, or a Shop Small® scavenger hunt. Find more event inspiration at ShopSmall.com/NMSC. 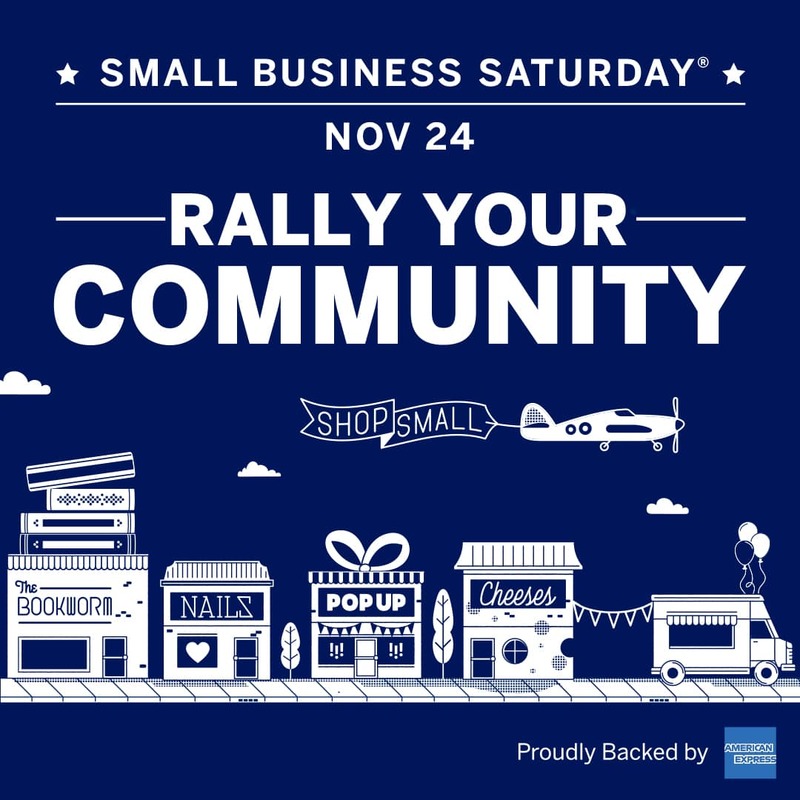 Rally your local business owners and help them get ready to participate in the big day. Distribute Shop Small merchandise, provided compliments of American Express, to promote the day in your district. There are plenty of materials and resources to help you along the way, compliments of American Express. You’ll receive monthly emails with planning tips and inspiration, as well as a Small Business Saturday Event Kit* with Shop Small merchandise (including tote bags, balloons, and other promotional items). Last year, nearly 700 Main Streets joined over 7,000 Neighborhood Champions in communities across the country. This year, let’s make Small Business Saturday the biggest yet. Join the Neighborhood Champion team today at ShopSmall.com/NMSC. See Terms of Participation for additional details. *While supplies last. Contents may vary.